Search for exclusive lodging deals in Grand Junction. Find deals and coupons for activities and more in Grand Junction. Check out special dining offers for local Grand Junction restaurants. 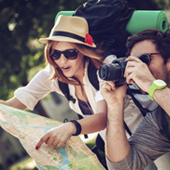 Start planning your trip with special offers on hotels, dining, activities and more. 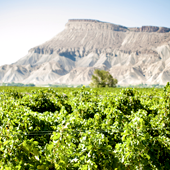 From wineries to excursions, find deals on great Grand Junction experiences. Zippity Do Da is a trail for expert riders. This trail takes the rider through changes in elevations and steep downhills that will push any rider to their limits. Breathtaking views are constant in this ride. What will you find during your visit to Grand Junction? Awe-inspiring natural beauty and the dramatic red rock landscape of the Colorado National Monument. Exhilarating outdoor adventures including hiking, camping or skiing on the Grand Mesa. Hundreds of miles of world-class mountain biking trails such as the Kokopelli Trail. Incredible whitewater rafting on the Colorado River. Stunning golf courses whose green fairways are juxtaposed against the craggy Redland desert.